Christmas print with reindeer. The suit has front and leg opening style for easy changing, fold over scratch cuffs up to size 6-12 months, 100% Cotton, Machine washable at 40 degrees. 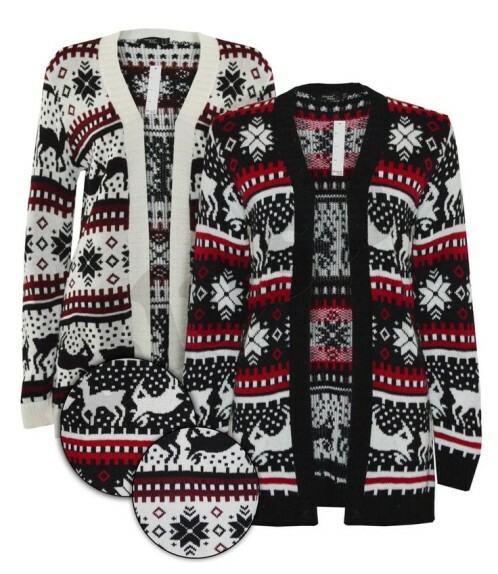 A fabulous reindeer and fair isle combo that’s cut perfectly to work with your bump. The monochrome colour ways keep it on trend too. 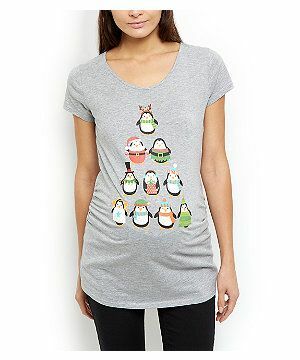 Grab one of these beauties and get you and your bump into the Christmas mood! 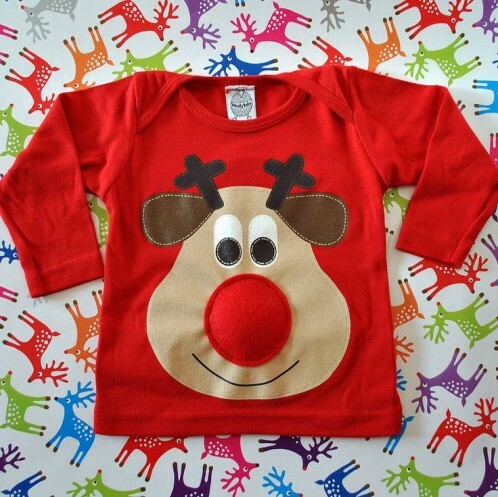 The cutest Christmas outfit for your baby is a handmade, squeaky-nosed Rudolph Reindeer jumper.Available in all sorts of matching sizes for children, adults and dogs.Imagine how Christmassy baby is going to look in one of these. Then give Rudolph’s nose a squeeze. Too cute!